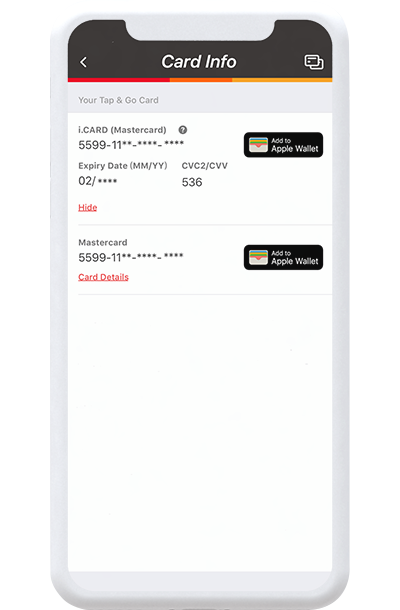 In your Tap & Go wallet, go to "Card Info" and enter PIN to view details of your i.Card. Once you have topped up your account, you can make purchases on any online platform that accepts Mastercard® or UnionPay. 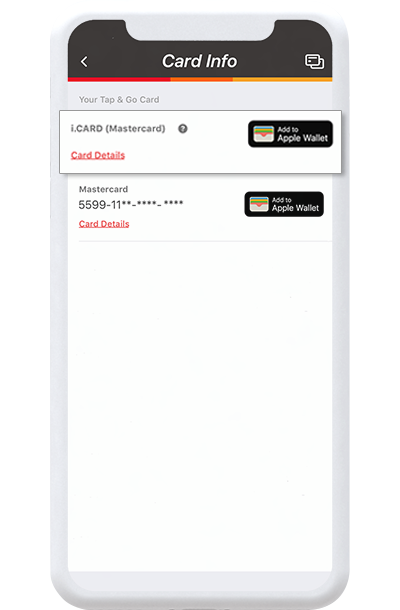 You can also link your i.Card to Apple Pay2 or Google Pay2. Simply 'tap and pay' to enjoy a seamless payment experience with FPS! 1 iOS 10.3 / Android 4.2 or above. Enjoy a more comprehensive payment experience with your physical Tap & Go Mastercard or UnionPay card. 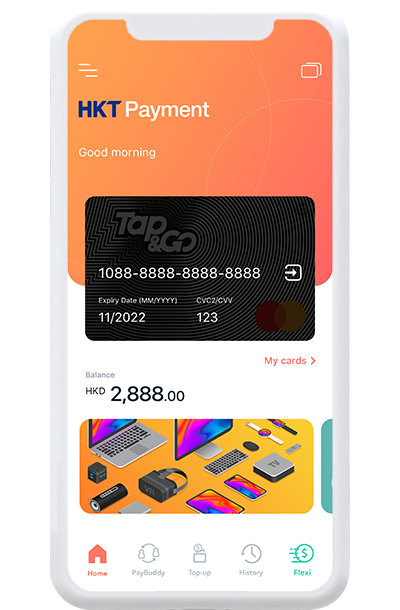 Tap & Go physical card. 7-Eleven and Circle K convenience stores in the city. Tell your story with a card! 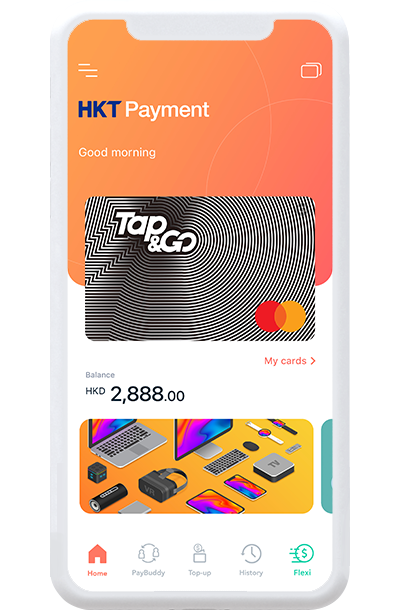 You can now design your unique Tap & Go Card with your favourite photo, or simply pick something from our gallery.Your Tap & Go "Selfie-A-Card" will be delivered to your doorstep3 at no extra cost4 for a limited period! 3 Due to an overwhelming response, your Self-A-Card will take longer to produce. Currently, the estimated completion time is 14 working days. We kindly ask for your understanding and strive to deliver your Tap & Go as soon as possible. 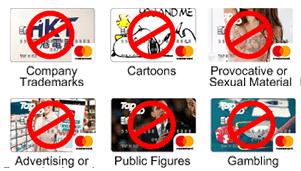 4 The Selfie-A-Card service only supports Mastercard. The promotion will run until 30 June 2019. A handling fee of HK$50 per card is required after the promotion period. If you upload a photo, that means you agree to follow these photo guidelines and give us permission to use it, print it and store it. You agree that we can collect, use, share and store the personal information you have given us. We may cancel the card if we find out that the photo affects the rights of a third party, or is not suitable for any reasons. If you do not follow these photo guidelines, we may make a claim against you for any damages or costs incurred by us. If we accept a photo you upload, we will print it as supplied to us. We do not guarantee the quality of the photo or the positioning of the image will be perfect, and it does not reproduce well, we are not responsible if you are unhappy with how the photo looks on your card. You have checked and, as far as you know, you have the right to use the photo. And it does not contain anything that is illegal or could hurt you or us or another person. You must have the right to use the photo. And it must be suitable for use on the card that means it does not contain anything that could be illegal, or could hurt you or us or another person, as far as you know.